As this year was a milestone birthday for G – her first in double figures – I wanted to bake her a cake she’d love and remember for a long time. Some time ago, I had seen this post by fellow allergy-friendly blogger, The Free From Fairy, and had duly filed away the information in the depths of my memory ready for the right occasion. I loved the idea of creating a cake for G that would be as unique as she is and would have that often elusive wow factor too. 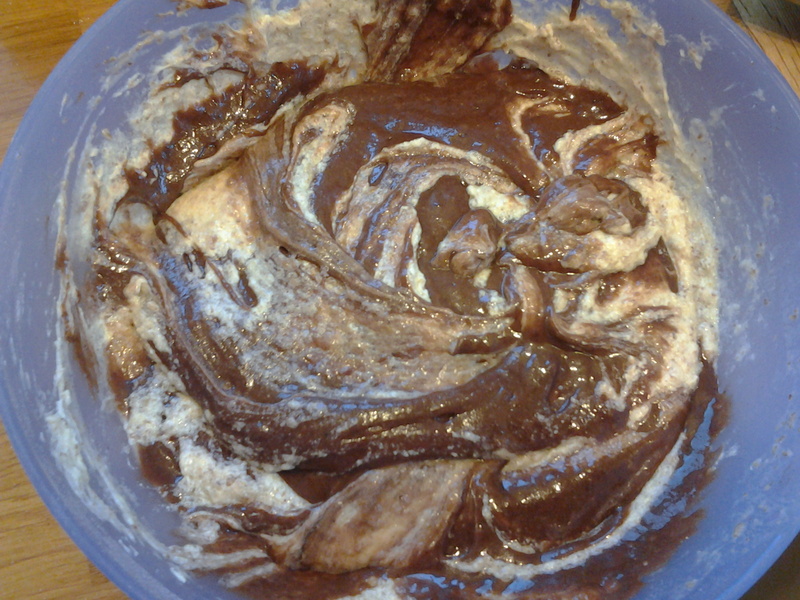 The morning before her party dawned and having bought every colour of icing under the sun and ensuring I had enough supplies of all the key ingredients, I started to bake. In an attempt to make the cake extra-special, I decided to sandwich together layers of chocolate cake as well as plain sponge and used the tried and tested recipes I had developed earlier in the year. 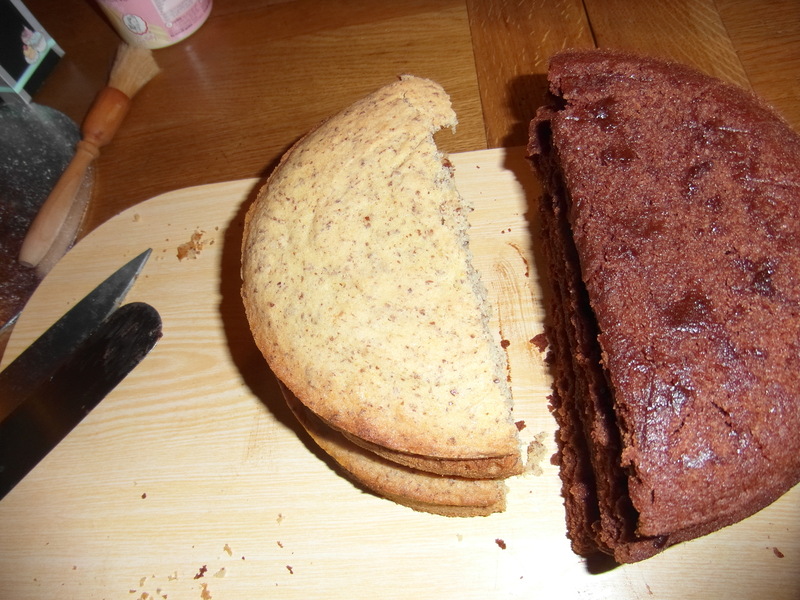 The chocolate cake was perfect, but I wasn’t happy with the plain sponge layers as they were too soft in the centre to allow me to successfully cut and stack the cake as I needed. 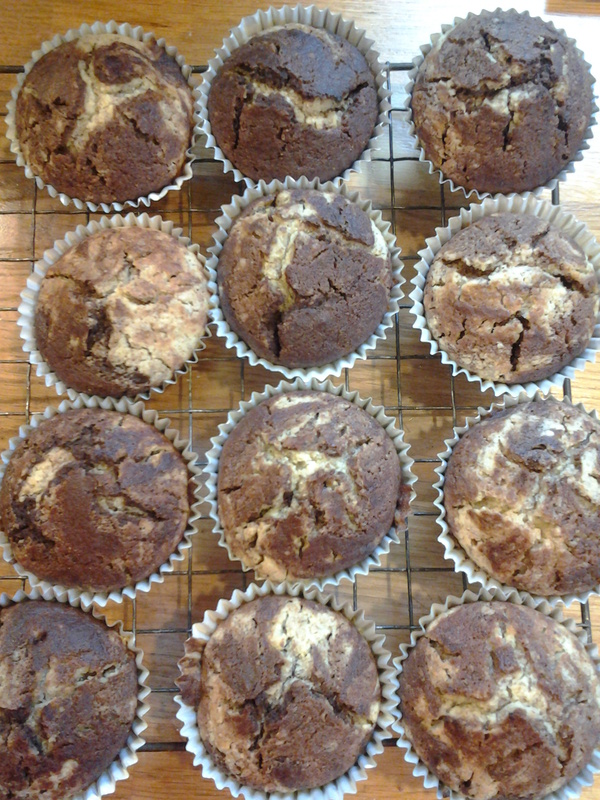 I desperately searched for an alternative recipe and quickly found one that I tweaked according to the new principles of allergy-friendly baking that I have learnt this year. This second Victoria sponge worked brilliantly well and has now been added to my allergy-friendly repertoire. 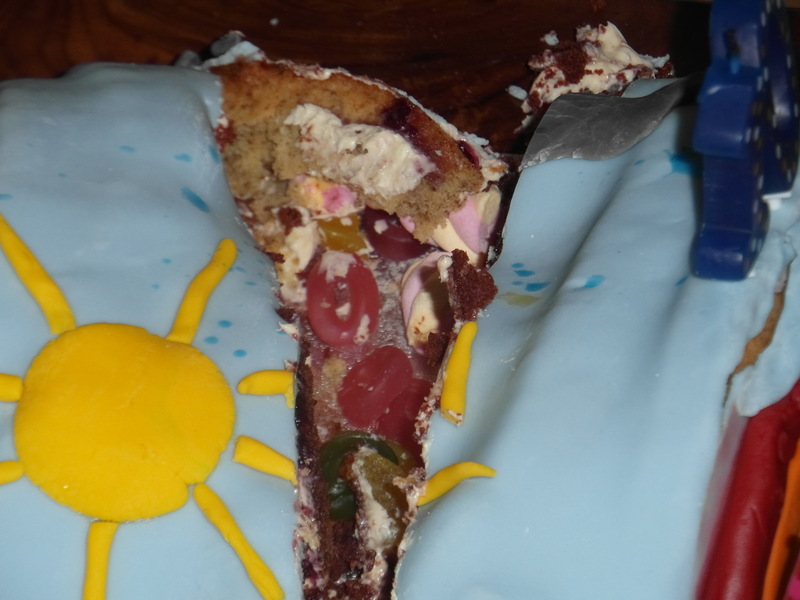 With cakes baked, layers trimmed and stacked and my icing ready, I attempted to construct G’s rainbow pinata cake. 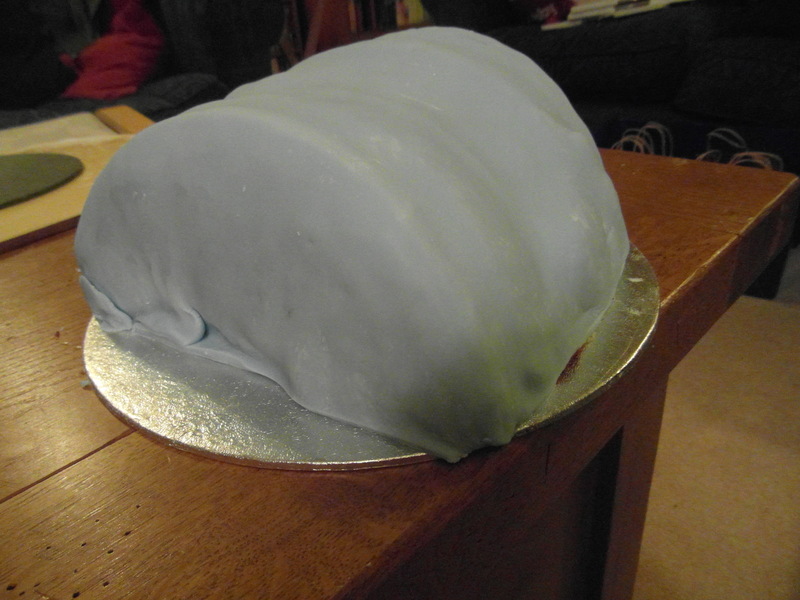 I filled the hollow with a selection of G- and M-friendly sweets before struggling to cover the structure with icing, ready for the final decoration. I have to be honest and say that I wasn’t totally happy with the end result. 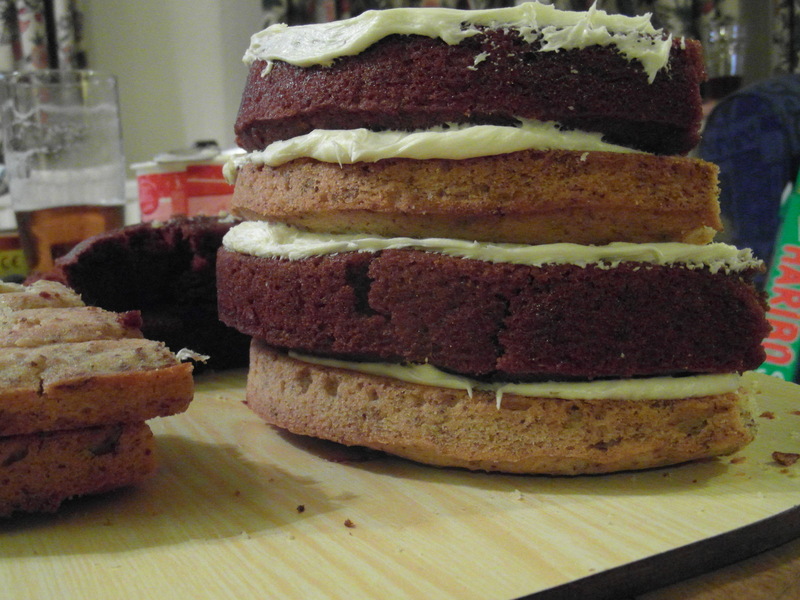 I found it hard to create the stability needed using an “everything-free” sponge cake. 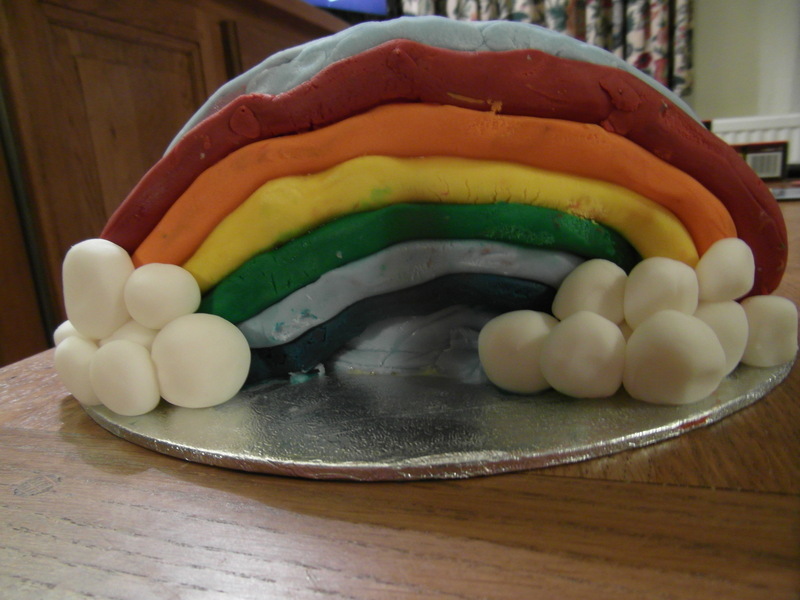 With hindsight, I wish I had assembled the cake layers whole, rather than trying to create the arch of the rainbow as I think the outcome would have been even better. All that being said, G and her friends loved the cake and were thrilled to discover the pinata-effect of the sweets hidden away in the middle of each slice. Of course, me being me, I wasn’t satisfied with just one cake to celebrate such an important occasion and once the party was over and done with, I set to finding the perfect creation for the big day itself. My inspiration for this second cake came from the amazing book, “Cupcakes, cookies & pie, oh my!“, which had been part of my recent leaving present from my job. G and M have spent hours drooling over the wondrous creations featured between those pages and I determined to create a cupcake piece of art just for G. I now have several great cake recipes to choose from, but stuck to our new favourites of Chocolate and Victoria sponges, though I ambitiously attempted to marble these together for the cupcakes. The challenge this time round was that I needed to bake the cakes, ice and finish the decorations all in one day. Usually I bake the day before and then spend the evening before the party finalising my ambitious decorating plans, but with G’s birthday falling on a Friday, I had to do it all whilst the children were at school. Cupcakes and 8-inch cake baked, I started to prepare the icing, which needed carefully combining to ensure I had the final effect I wanted. Everything ready, I put all the component parts together and perused the final masterpiece. 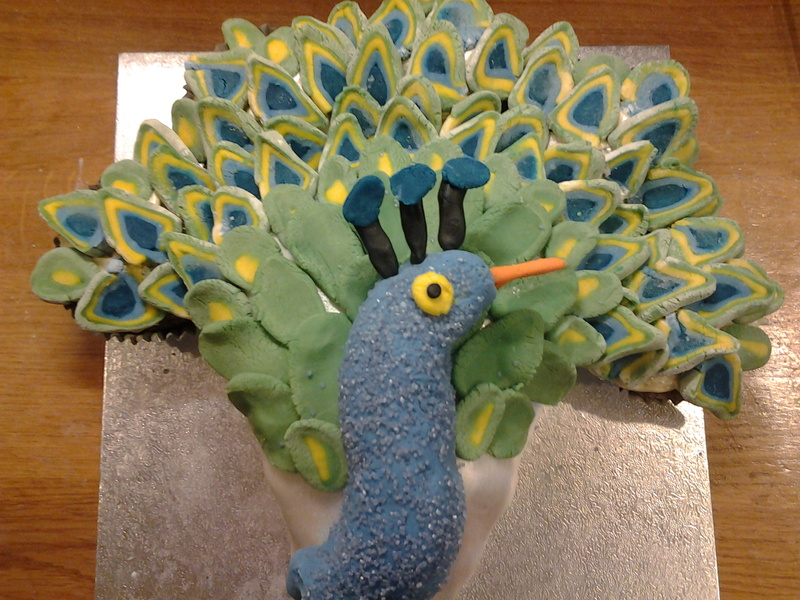 G had fallen in love with the cupcake peacock in the recipe book and I have to say, it has quickly become one of my favourite bakes too. Needless to say, the birthday girl was delighted and it tasted pretty good too! 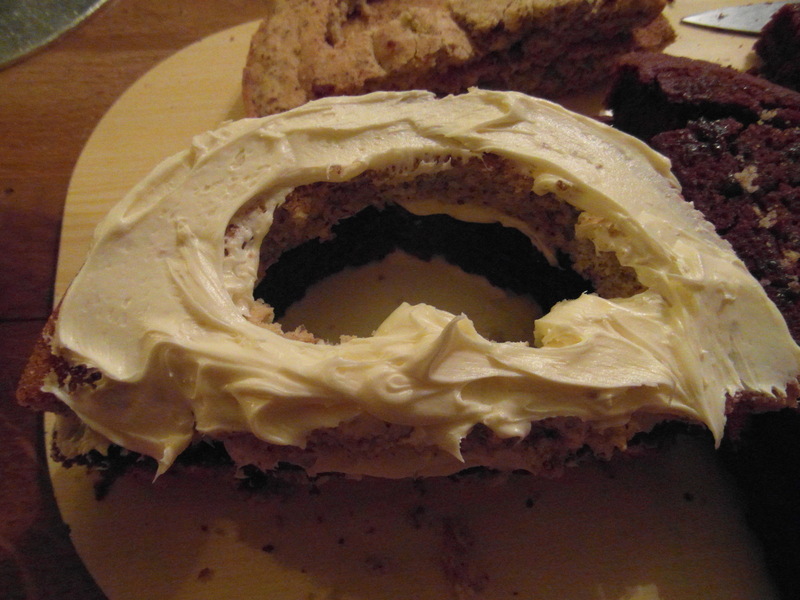 This entry was posted in General and tagged Baking, Birthday, Cake, Cupcake, Dairy free, Egg free, Food, food allergies, gluten-free, Gluten-free diet, home cooking, Soya free, Special Diets, wheat free, Xanthan gum on December 16, 2013 by bluesingingdragon.